Uttarakhand Chief Minister today said his government was working towards improving health infrastructure in the hills and that doctors were being deployed in large numbers. 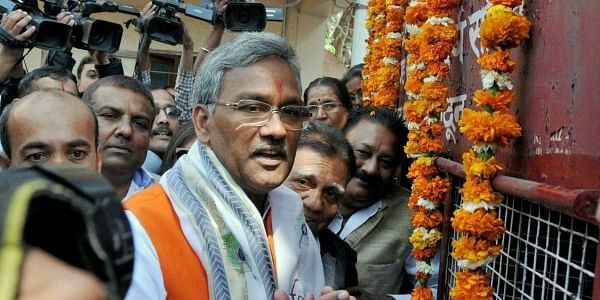 UTTARKASHI: Uttarakhand Chief Minister Trivendra Singh Rawat today said his government was working towards improving health infrastructure in the hills and that doctors were being deployed in large numbers. Boosting health and education infrastructure, and other facilities in the hills tops the state government's agenda, he said after inaugurating a SC/ST culture and games fair at Damta here. Doctors are being deployed in large numbers in the hills. The state has also received about 2,000 applications, including those of candidates from Orissa, Tamil Nadu and Maharashtra, for the post of doctors. They will be deployed after they clear a test, the chief minister said. Rawat said tele-radiology, which was launched yesterday, was a step towards linking health centres in remote parts of Uttarakhand with hospitals in Delhi and Dehradun. The chief minister said that he did not believe in making announcements and not fulfilling them. "A government order has preceded every public announcement I have made because I don't want to lose the confidence of people by making mere announcements and never fulfilling them," Rawat said. He said a road will be built this year to link Uttarkashi's Mori block with Himachal Pradesh. "A government order has already been issued in this regard and construction on the 12-km road will begin soon," Rawat said.